Abu Senkayi, Environmental Scientist at the U.S. Environmental Protection Agency, has been recognized by Marquis Who’s Who Top Scientists for dedication, achievements, and leadership in environmental and soil science. Dr. Senkayi is noted in his career for his contributions and research related to the chemistry and mineralogy of lignite overburden, mineralogical weathering processes in soils, and problems associated with reclamation of surface-mined lands. Dr. Senkayi has published extensively in scientific journals on these topics and has also co-authored several book chapters. He has held his current position, as an environmental scientist for the Environmental Protection Agency in Texas since 1997. Prior to accepting this position, he worked as a soil scientist for the Railroad Commission of Texas and as a soil chemist for PRC Environmental Management, Inc. Earlier in his career, Dr. Senkayi worked as a senior soil chemist for Ebasco Environmental Services and as a research scientist for Texas A&M University. In his current position, Dr. Senkayi is serving as the EPA Region 6 concentrated animal feeding operations (CAFO) enforcement coordinator. Responsibilities include developing and managing CAFO enforcement policies, guidance, and regional policies for the control and prevention of releases of pollutants from CAFOs to surface water. He is currently the Regional technical contact on all enforcement matters related to animal feeding operations, including poultry, diary, beef cattle, swine and horses. 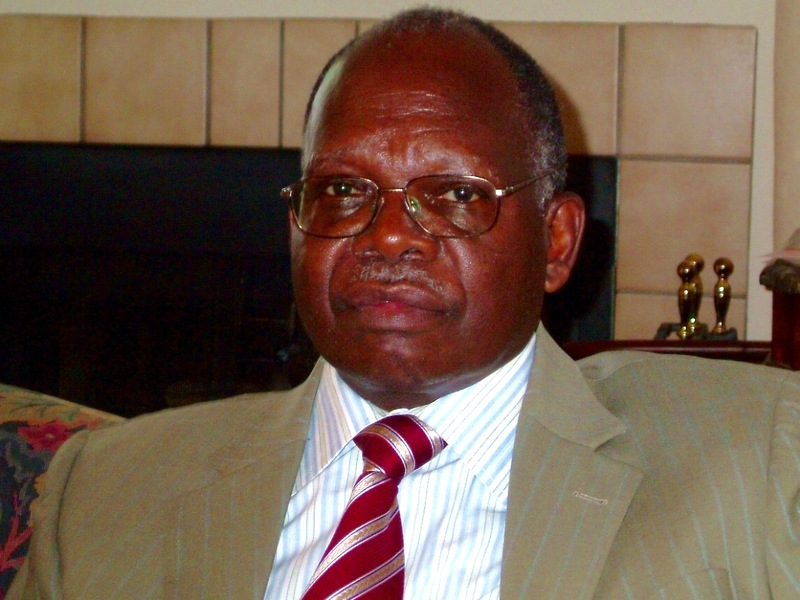 Dr. Senkayi always aspired to be a scientist and worked hard to earn his Bachelor of Science degree in geology and chemistry from Makerere University in Uganda in 1971. He continued his studies at this institution and received, in 1973, a Master of Science degree in soil science, under the supervision of Dr. William Flocker who was a visiting professor from the University of California at Davis. Dr. William Flocker recognized the hard work and dedication of Dr. Senkayi and one day he asked him if he would like to continue his studies for a Ph.D. degree at the University of California in Davis, on a full scholarship. Dr. Senkayi agreed on condition that he would travel to the US with his wife and two little children. Dr. Flocker was able to get Dr. Senkayi a full scholarship from the Ford Foundation and Dr. Flocker drove from Davis to the San Francisco airport to welcome Dr. Senkayi and his family to the US in December 1973. In 1974, Dr. Senkayi started his Ph.D. program and was awarded his Ph.D. degree in Soil Science in 1977. Today, Dr. Senkayi’s daughter, who was a toddler when her family arrived in the US, has her Ph.D. degree in environmental science. She is also an environmental scientist for EPA Region 6, the same office where her father also works, as an environmental scientist. The proudest moment of Dr. Senkayi’s career was during his daughter’s graduation ceremony at the University of Texas at Arlington. Dr. Senkayi had the honor and privilege of placing his daughter’s Ph.D. hood on her, instead of her professor. This is because Dr. Senkayi has a Ph.D. degree and his daughter was also getting a Ph.D. degree. Another proud moment for the Senkayi family was when we learned that our daughter, Sala Senkayi, was a recipient of the Presidential Early Career Award for Scientists and Engineers (PECASE). Recipients of the PECASE award are recognized and honored by the US government for their outstanding scientific and engineering independent research achievements.